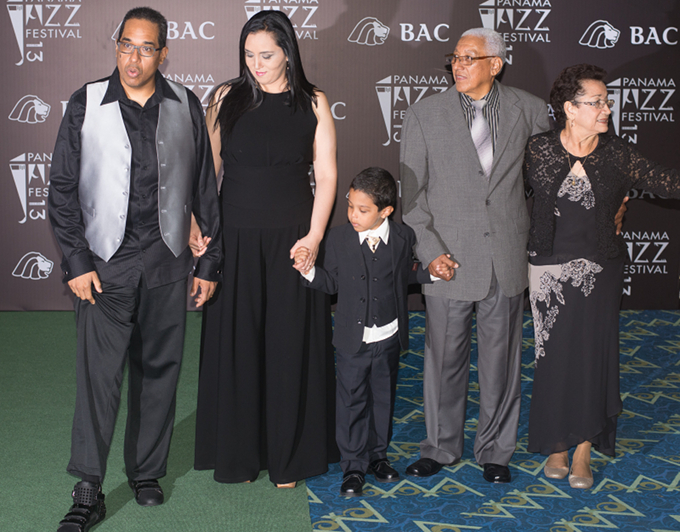 Three generations of Danilo Pérezes, with wives and mothers. The middle Danilo was proud to show off his “galactic” new shoes. 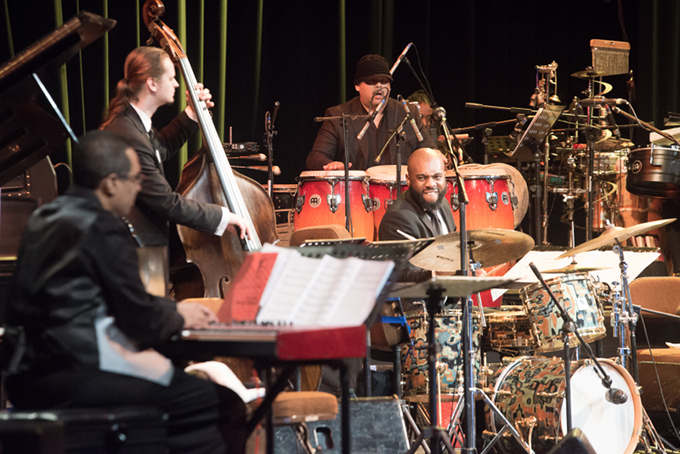 Patricia Zarate, a saxophonist, educator, healer and mother of the third generation Danilo, ran the Latin American Music Therapy Congress that was held in conjunction with the festival. 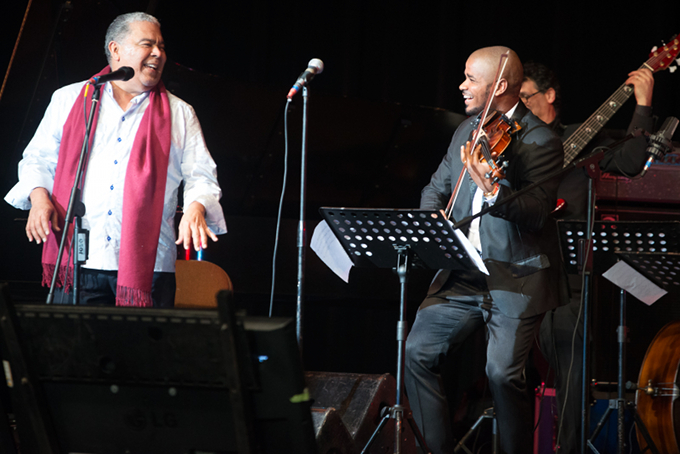 The first generation Danilo, an educator and noteworthy singer, plays a management role in the festivals and foundation and is credited by his son as inspiring these events. 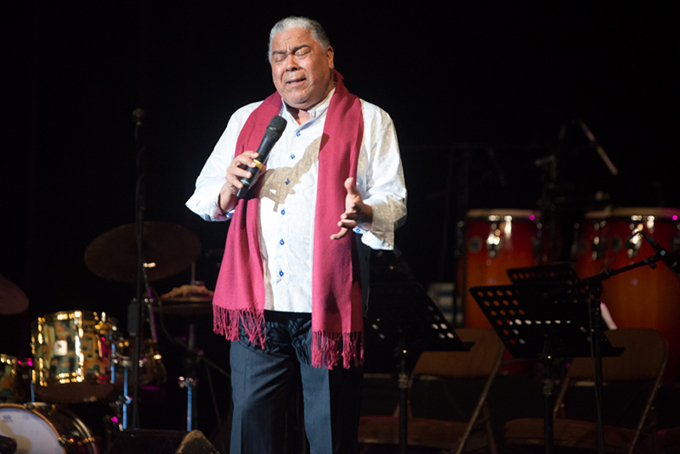 Multifaceted Puerto Rican singer Danny Rivera. 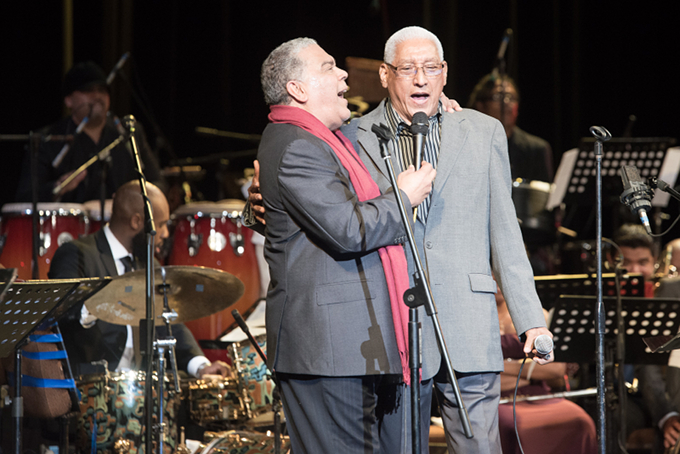 Danny Rivera and Danilo Pérez Jr.
Danny Rivera and Joshue Ashby. 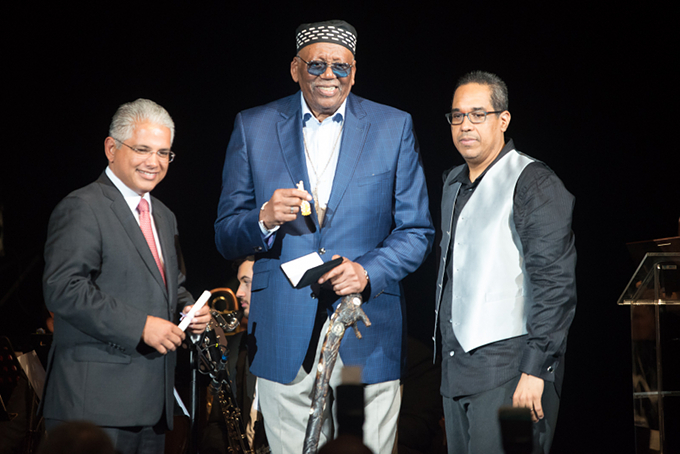 Mayor Blandón presents Brooklyn jazz pianist Randy Weston with a key to the city. 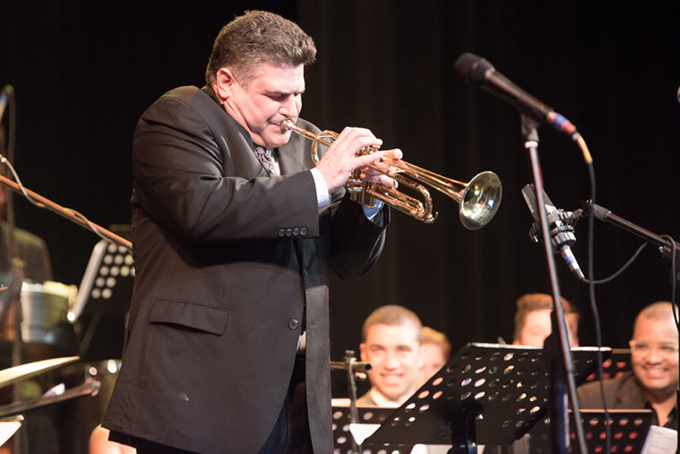 The Pan-American Detroit Big Band, composed of students and professors from Wayne State University and the Berklee Global Jazz Institute. 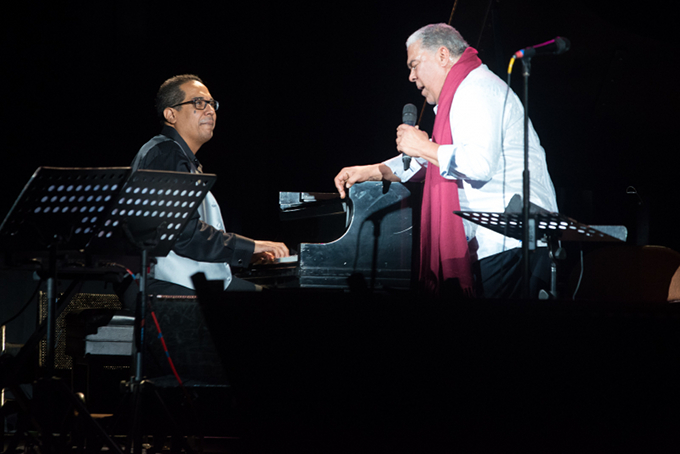 Danny Rivera and Danilo Pérez Sr. perform”Historia de un Amor.” Rivera gave Danilo Pérez Jr. one of his big breaks in music by having the latter accompany him when he was a 14-yearr-old piano prodigy.